Ancient artifacts are literally irreplaceable, and yet people still destroy them. Sometimes this is through malice, as in the case of the terrorist group ISIL smashing antiquities and broadcasting the footage. Other times this is through just plain old stupidity, which actually happens quite often. 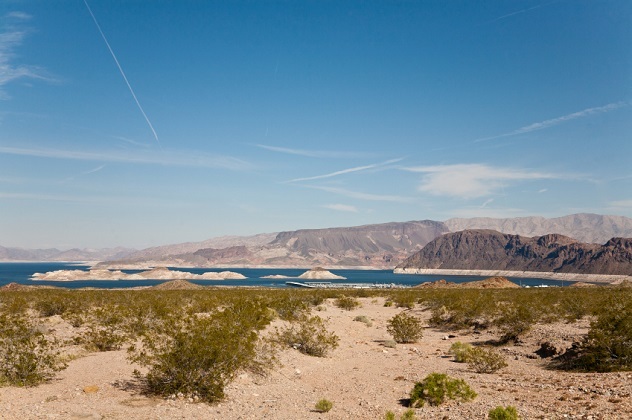 Native American monuments and rock art dot the Lake Mead National Recreation Area and are considered sacred by the local Native American tribes as their birthplace. They’re even registered in the US National Register of Historic Places. In 2010, park rangers were summoned after someone reported people firing paintball guns in the area. They found paint splattered across the rock art, then talked to and ultimately arrested a 20-year-old man who had been shooting up the monuments. The man, a resident of Arizona, was sentenced to more than a year in jail as well as a nearly $10,000 fine and 50 hours of community service after pleading guilty to several charges pertaining to the destruction of ancient artifacts. Park rangers had to remove hundreds of paintballs from the canyon and found 38 areas with rock art that had been shot up. It would at least be understandable if war or a natural disaster had destroyed 2,300-year-old Mayan temples, but finding out that they were actually destroyed for construction materials to build nearby roads is so much worse. This actually happened in 2013, when a Belizean construction company used mechanical diggers and bulldozers to knock down most of a Mayan pyramid and haul away the limestone. From the construction company’s perspective, they had good reason to do this. Mayan pyramids were made of high-quality limestone, and the temple was close to the road construction site, so the company could save on fuel costs. The temple was also on private land, so its owners would have also been complicit in its destruction. Although the bulldozing of the temple stopped as soon as word got out, much of it had already been destroyed, leaving a pitiful ruin with holes in it, and it’s likely that many archaeological artifacts inside the temple were smashed. 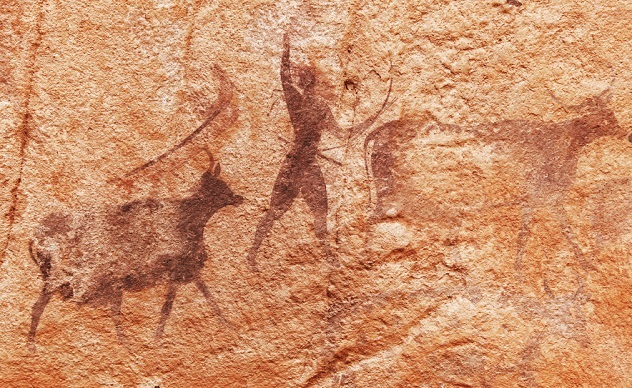 It is somewhat understandable that thieves might make off with paintings hanging in museums, but who would be stupid enough to try to steal cave paintings? You can’t steal something on the walls of a cave, right? But someone, or a few someones, were apparently stupid enough to try it on a 5,000-year-old cave painting in Spain. The damage was noticed by tourists, who found rock chippings on the floor of the cave, along with chip marks in the rock that showed someone had tried to carve the painting out of the wall with a tool, as idiotic as that sounds. The paintings were, unfortunately, somewhat damaged, but thankfully the would-be thieves realized partway through trying to hew the painting out of the cave wall that their task was an impossible one. That, or the half of the painting that had fallen to the cave floor as stone fragments made them realize it was a fool’s errand. 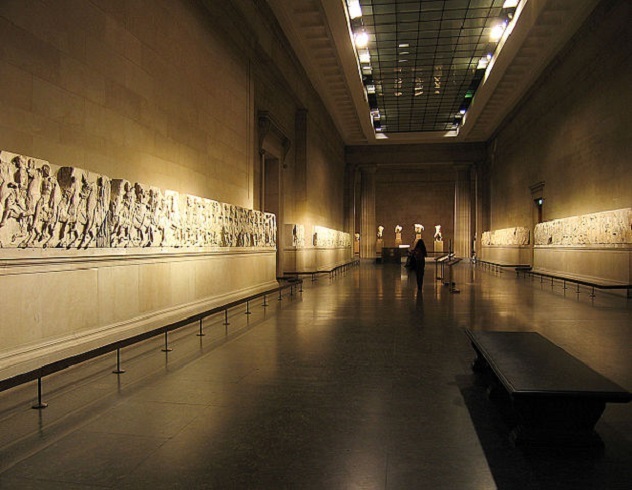 The Elgin marbles are widely regarded as great cultural relics. Originally part of the Parthenon and various other ruins in Greece, they were removed and shipped to the United Kingdom in the very early 1800s. They were cleaned with water to wash off soot that would accumulate, but in 1845 the curators of the British Museum wanted to thoroughly clean the Elgin marbles so they could see what they believed would have been the original white of the marble. The curators scrubbed the marbles with nitric acid, dissolving the outer layer of the marble, in order to restore them to what they believed to be their pristine state. Further washing with ammonia was done in the 1930s on the insistence of a lord. The result was that the marbles were damaged, and further damage was also done by unskilled workmen scrubbing the marble with wire brushes. This removed many distinctive features from them and may have ruined them, which even the British Museum now admits to. Offa’s Dyke is a 1,200-year-old monument dating to the eighth century AD running along the border between England and Wales. Built by a local king to keep his land safe from invasion, it consists of a trench and an earthen mound. It’s also designated as a UNESCO World Heritage Site and is ranked among some of the best wall walks in the world, on par with the Great Wall of China and the Berlin Wall. Unfortunately, in August 2013, a digger clearing overgrowth near a highway plowed over a section of the Dyke and destroyed it. 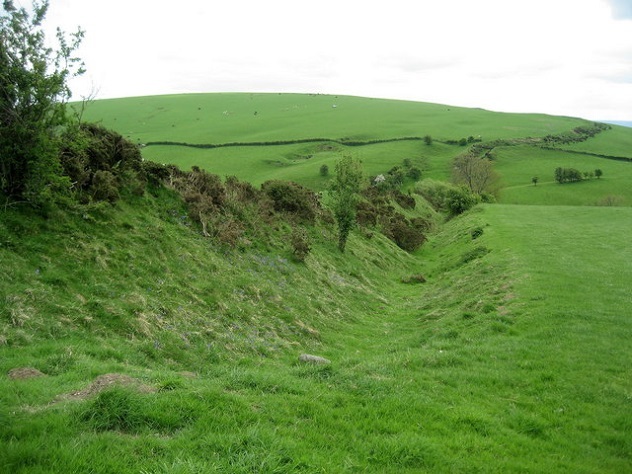 The man who destroyed it, and who had owned the land on which part of the dyke ran, faced a police inquiry, as willful destruction of Offa’s Dyke carried a fine or jail time. However, he escaped punishment as police were unable to prove that he knew the Dyke existed. The man had lived in the area all his life. It’s apparently a fairly common thing for tourists to carve their initials into the 2,000-year-old Colosseum. In the most recent publicized incident, which happened in 2015, two US tourists used a coin to carve their initials into the ancient stadium and then took a selfie. The tourists, both women in their twenties, were almost immediately arrested. 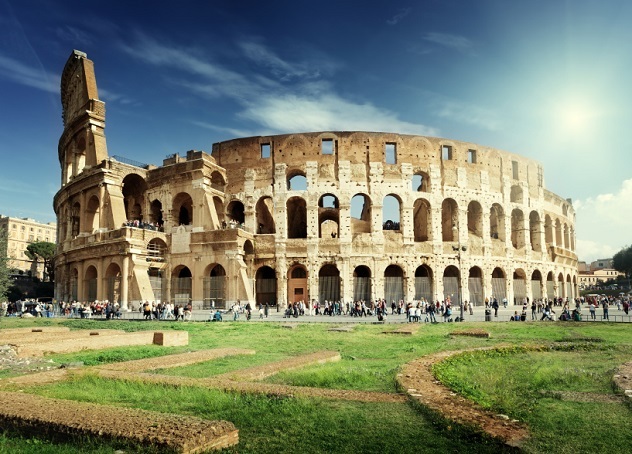 Both had ignored the numerous signs placed around the Colosseum, in Italian and in English, stating that damaging the stadium in any way was illegal. The women were quickly arrested by police and charged. Situations like these may have increased in recent years because of cuts to staff members. The cuts are themselves ironic given that Italy has beefed up security around the Colosseum in light of threats by terrorist organizations. While increased security can stop terrorists and quickly arrest people, they are less effective in regards to graffiti and damage to artifacts. It doesn’t help that many tourists view the crumbling Colosseum in a more dismissive light than other, better-preserved monuments. While the legend of Helen of Troy may be just a legend, there is no doubt that the city of Troy did exist at one point. The Trojan War was real (if embellished), although the supernatural characters in Homer’s tales did not exist. In 1870, a wealthy German businessman named Heinrich Schliemann, obsessed with the legend of Troy, arrived in Greece to look for the ancient city. Almost immediately, he hit upon a promising dig site that matched Homer’s legends, with evidence of a large wall surrounding a sizable settlement. It was also evident that the city had been rebuilt nine times over the history of the site. Schliemann, believing Troy was at the bottom of the pile of cities, started dynamiting his way down, blowing up seven different levels until he uncovered what he claimed were the jewels of Helen of Troy. Unfortunately, Schliemann had inadvertently destroyed the Troy he had wished to find, because the jewels he found were thousands of years older than when the Trojan War would have actually happened in antiquity. 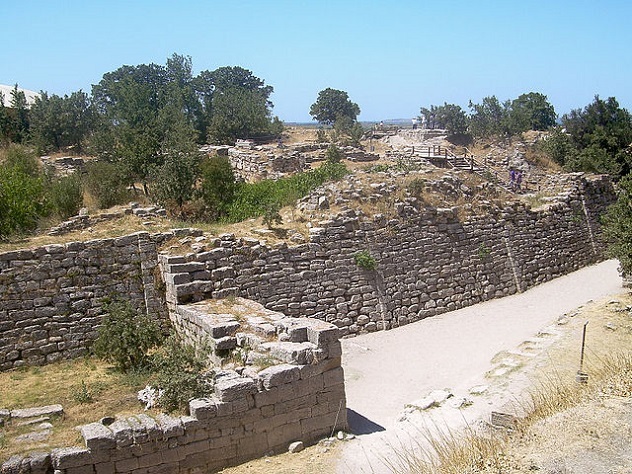 The Troy that actually dated to the city Homer wrote about was, on modern analysis, a shabby settlement that probably hadn’t seen much of a siege. It’s not every day that you find that you lost thousands of dollars on a DIY project, but that was what happened to a London family in 2008 when a friend brought their table lamp vase in to be valued. The vase was from the 18th century and originated in China’s Qing dynasty. 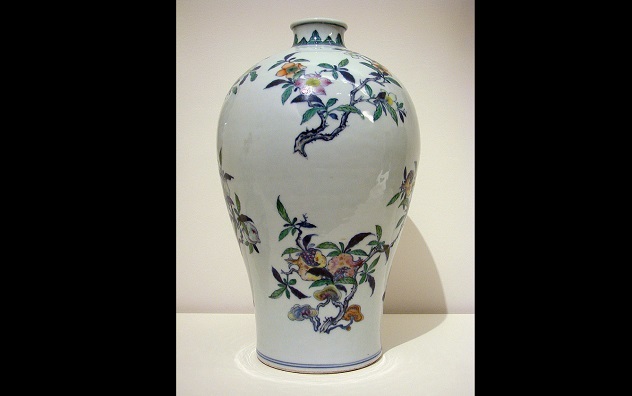 (The vase above is a similar vase from the Qing dynasty, though not the one in question here.) It could have been sold at up to £50,000 if the family hadn’t damaged it to make it into a lamp. The family, under the impression the base was a mere trinket, had drilled a tiny hole in the base of the vase to run an electrical cable through it and used it as a tacky table lamp for four decades, until a family friend noticed it and brought the lamp in to be appraised. With the hole in it, the lamp sold for a mere £5,000 at auction. As a rapidly developing nation, China is building a lot of new infrastructure—and destroying its archaeological history along the way. 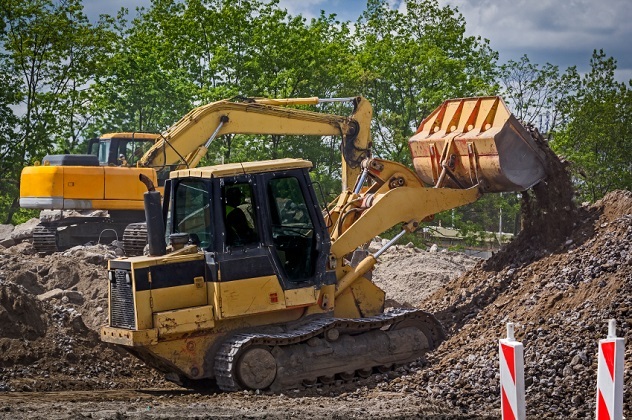 When valuable archaeological artifacts or sites are uncovered, workers have a tendency to bulldoze them and continue work. In 2007, a construction site for an IKEA store unearthed a series of ancient, 1,800-year-old tombs, and then promptly destroyed them and continued construction. Developers preferred to pay a fine and continue construction on schedule than delay construction to preserve the tombs. In 2013, the same situation happened again, but even more blatant. During the construction of a subway system, construction workers destroyed several ancient tombs that had been cordoned off by a local archaeological research center. The construction company lacked permission to work in the area. The destruction was shockingly deliberate: The construction workers had thoughtfully moved archaeological tools aside before destroying everything. Anyone who has a chance to see the original star spangled banner might note that it has a decidedly tattered look. That look is not because of natural wear and tear, but because the flag was snipped away by the person who kept it. 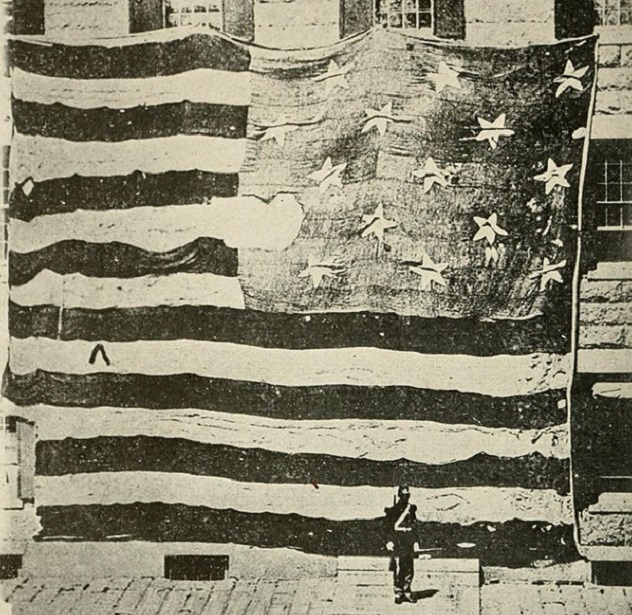 Lieutenant Colonel George Armistead acquired the original flag, and then passed it down to his daughter, Georgiana. When people started to ask for pieces of the flag, Georgiana complained that there were so many people wanting the flag that she would have to cut up the entire flag to give everyone what they wanted. But Georgiana did it anyway, and snipped hundreds of pieces of the flag away, including one of the stars, for prominent people who asked. Georgiana eventually cut up about 20 percent of the flag. Her son donated the flag to the Smithsonian, and it needed a comprehensive repair from both the fraying and the snipping damage.